Cape Town - Luxury is defined differently for everyone. For some it may be an extravagant getaway to a 5-star hotel on a secluded resort, living your days dressed in a fluffy white robe while sipping on bubbly and taking in scenic views. For others, luxury means fine dining at the restaurant around the corner, getting pampered at a spa treatment, a one-night’s stay at a boutique hotel, playing golf, relaxing on a boat ride or splurging on a designer sun-downer cocktail. SEE: Is social media creating unrealistic travel goals? We all need to pamper ourselves and the one’s we love every now and then, so if you can’t afford a last-minute trip to an exotic island, don’t stress, because Mzansi has a load of luxury to offer. 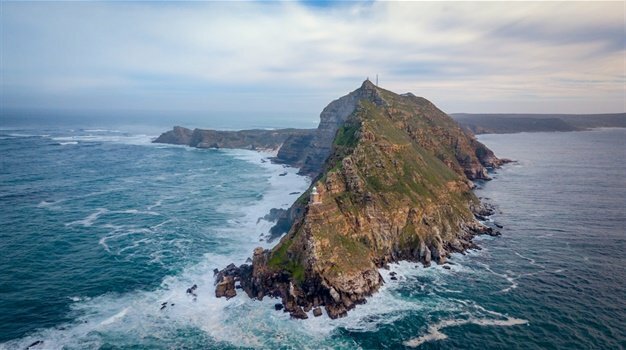 Possibly offering the most luxurious retreats of all provinces, Western Cape boasts a unique natural abundance, fine wines and a myriad of eateries to suit all tastes, stunning hotels and world-class leisure attractions among other luxuries. Head north along the sublime west coast, beyond the sandy roads and salt pans, and discover Russells on the Port – a 4-star guesthouse and restaurant situated in Port Owen, Velddrif. Exuding sheer grandeur, the location is a South African version of the French Riviera with clear skies, bright blue water, luxury boats and charming lodges. Russells on the Port is an idyllic place to spoil yourself with a touch of luxury, and is an ideal spot to enjoy sundowners with great company. It is a more expensive accommodation option though, but if you cannot stay over, it is well-worth a day visit for fine dining meals prepared by one of SA’s 5-star chefs, as well as to see spectacular views while relaxing in SA’s west coast. Located in the midst of the vibrant and busy streets of Cape Town’s CBD are treasures that will delight foodies. The city centre is home to a number of restaurants that transform food into luxurious culinary pleasures – from gourmet burger eateries and tapas bars, to award-winning fine dining restaurants. One of the places to spoil yourself with a luxurious dining experience is at The Shortmarket Club. A venture of Luke Dale-Roberts of the well-established fine dining restaurant, The Test Kitchen, this eatery is set in a heritage building just off Cape Town’s Bree Street. Step into this unsuspecting building that transforms into a sophisticated restaurant oozing immaculate and chic décor, where food becomes art while awakening all your senses. If a lavish stay in the midst of a natural retreat is what you’re looking for, then Fancourt South Africa proves to be one of the country’s indulgent escapes. Situated in George, against the breathtaking backdrop of the Outeniqua Mountains, the estate is predominantly renowned for its elite golf offering. The Links golf course at Fancourt improved its ranking in the prestigious Golf Digest World Top 100 in early 2018, and Fancourt was honoured “Golf Resort of the Year” at the 18th annual International Association of Golf Tour Operators Awards in late 2017. Class and quality meet at this accommodation spot at the start of the Garden Route, which is perfect for couples who want to splurge on a romantic weekend getaway. Fancourt offers a quiet escape from bustling city life, comes with amenities including a luxurious spa, pools, a gym, walking and biking trails, and the choice to play at one of three world-class golf courses. If pure luxury for you is staying at a castle on a beach, then make this a reality by paying a visit to Pezula Castle on Noetzie beach, near the Garden Route's Knysna. The luxurious property, situated on a secluded beach with a garden, consists of three castles offering five luxury suites. Apart from the secluded cove and pristine beach, visitors also get to explore a large variety of indigenous flora and fauna. Described by the late President Nelson Mandela as "an exquisite piece of heaven", some visitors say it "has a magical air about it and it feels as though you have been whisked away to paradise", while others call it "beautiful and so elegantly appointed". Break away into the wild with a luxurious twist at Samara Private Game Reserve. Near Graaff-Reinet in Eastern Cape, and a three-hour drive from Port Elizabeth, Samara is a secluded luxury getaway ideal for a solo escape or for a venture with loved ones. The Reserve organises game drives for its guests, and wildlife such as zebras and cheetahs can be spotted a few metres away. With a pool-side area, mountain views and rich wildlife, it makes for much-needed local getaway where one gets to bask in secluded luxury and nature all in one. Along the coastline, KwaZulu-Natal is home to a number of indulgent resorts, hotels and accommodation spots that ooze with chilled Summer vibes, while inland, the lushness of places such as the Midlands boast a luxurious wild setting for romantic pamper sessions or selfishly indulgent breaks. The classic Oyster Box hotel in Umhlanga Rocks, KwaZulu-Natal won the title of "best hotel for 2017", as rated in the annual TripAdvisor Travellers' Choice awards. If achievements like these don’t prove the level of quality and luxury you can find along SA’s east coast, then perhaps its array of food offerings will offer greater satisfaction. The hotel is renowned for its High Tea which is a spectacular display of sweet and savoury treats, expertly made for pure indulgence - with everything from freshly baked scones, pastries, quiches and cakes, to finger sandwiches and savouries. The Palm Court is the venue for the legendary High Tea each afternoon. It’s also a meeting spot for casual dining and the ideal place to enjoy the Evening Indulgence treat. “High Tea is a lengthy, leisurely affair with live piano music providing a welcome addition to the occasion,” says the hotel. There are very few things in life that are more luxurious than a spa treatment. Best of all, you can get a spa treatment in a few hours, find one near where you live, and it’s more affordable than most other modern-day spoils. But for an extra touch of indulgence, a trip to a spa in the middle of nature, is the kind of pampering you really want. Located amid oak trees and the sound of running water, the Granny Mouse Spa in Balgowan of the KZN Midlands, allows visitors to go on a journey of bliss and relaxation while surrounded by nature. Whether you are a day visitor or overnight guest, rejuvenate your mind and body with a range of treatments and facilities including a steam room, jacuzzi and a hydrotherapy bath, as well as signature treatments. For a slightly longer luxury experience, travel to this Free State event in style on-board the luxurious Blue Train for the biennial Stars of Sandstone Steam and Heritage Festival. Travellers will however have to wait a little while for this event as it takes place from 4-14 April 2019. It is described as the most diverse steam and heritage events in the world, and will be hosting the Blue Train for a 3-night, 4-day trip that includes two days at the Sandstone estate, travelling from Pretoria to Ficksburg in pampered accommodation. The package deal includes all accommodation, food and drinks, cognac, Cuban cigars and two day's entrance and shuttle service to the Festival from 3-6 April. 26 Suites are available on the train - 23 De Luxe and 3 Luxury - and each comes with a private butler service. For more information, contact Dave Richardson at daver@sandstone.co.za. The Riviera on Vaal Hotel, a 45-minute drive from Johannesburg, is a 91-room hotel that has been converted from a 1800s farmhouse and is situated right on a bend of the scenic Vaal River. This luxury getaway, boasting scenic sunsets, is ideal for those who want to escape the bustling city life for a day. It offers a spa, golf course and water sports. The river itself is great for skiing, jet boarding, fly boarding and boating. In winter, a romantic and laid-back atmosphere is created – perfect for fishing with a glass of wine in hand. Annually, there’s also a Vaal River Meander Wine Route, where festival-goers will be treated to a choice of over 200 wines both on land and aboard luxury cruisers on the Vaal. Ideal for a family weekend of luxury in nature, go on a road trip to Dullstroom in the Mpumalanga highlands. A 3.5-hour drive from Johannesburg, past misty mountains, sparkling lakes and green fields, venture to South Africa’s top trout fly-fishing area. You can stay at Walkersons Hotel & Spa at one of the suites at the main hotel or at a remote self-catering cottage that overlooks a river and a waterfall. There are scenic walks and trails for every level of fitness, or you can go horse riding, mountain biking, or make the most of the golf course.